Ever since the FIH Men's Hockey World Cup 2018 has begun at Kalinga Stadium in Bhubaneswar, the edition has grabbed the attention of all the hockey lovers in India as well as the world. The starting of the event has been in such a way that is quite synonymous with this year's FIFA World Cup, held at Russia. Like the event in Russia, this World Cup is not a one-sided affair as well. Except for the drubbing that India gave to South Africa, none of the games have ended in a drab affair. The unpredictability of this Hockey World Cup is something that is not just brilliant, but also eye-catching. None of the top teams have been able to romp home with easy wins. What started with Belgium narrowly winning over Canada, soon turned into an interesting affair, with even Olympic champions Argentina and giant killers New Zealand struggling against teams like Spain and France. England, who is considered as a European powerhouse, was also in for a rude awakening when a last minute goal from Du Talake gave China, who just made their World Cup debut with this edition, a historic draw. However, the mother of all surprises came up in the match between Australia and Ireland. 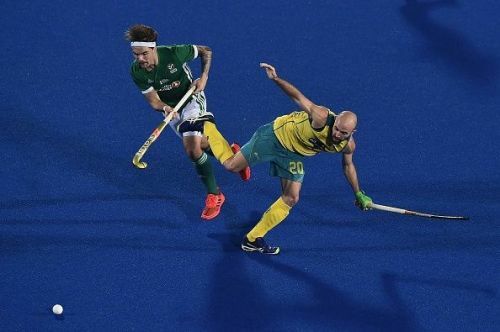 Australia stepped in as the defending champions of this tournament, while Ireland was happy to have made it to the World Cup after a whopping 28 years. However, the moment the match began, it turned into a nail-biting spectacle, where Australia, who was expected to have it easy against the rookie Ireland, actually struggled to even register a simple win. 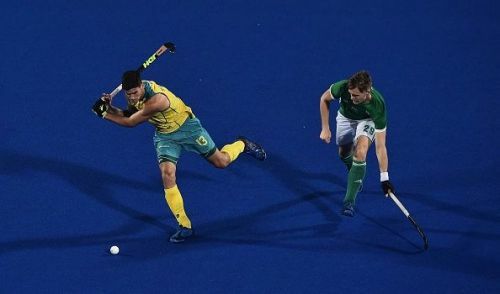 Minutes after Blake Govers scored for Australia when Shane o Donoghue broke through the Australian defence and equalized. This lead to Australia calling back their star goalkeeper, Tyler Lovell on the field. Kept as a reserve, it was Lovell who brought back Australia into the match, and Tim Brand did the rest with the winning goal. If there is one thing to learn about from this game, it is that first impression is never the last one. Anyone who even remotely thought that the defending champions would have it easy against a rather lower-ranked Ireland side was left shell-shocked. There is no doubt about the fact that Australia is one of the finest teams in the history of field hockey. One of the quickest to adapt and succeed in modern hockey based on astroturf, Australia was riding high on the success of FIH Champions Trophy 2018 and were expected to breeze through against Ireland in the opening match of pool B. However, the way they were forced to sweat out, in what seemed to be an easy going match for Australia, it is clear that unless Australia pull up their socks well, this is not going to be an easy World Cup for them at all.